Welcome to our NFL betting tips page! Here you'll find articles that are sure to increase your odds of beating the bookies! Beating the point spread and 52.38% (break-even point) is much harder than it seems. You need to have as much knowledge as possible in your football betting arsenal to stand a chance of collecting from your bookie rather than paying. Did you know that only 3% of football bettors win long term? You better believe that the 3% have done their homework and studied up on as much football betting information as they can find. You're off to a good start by landing here! Be sure to check out our other articles too (advice/strategy), which can be found in the left menu! Enjoy! Bet on Games at -105 Odds - Most online bookies force you to wager on games at -110 odds. Did you know that there's a few places out there that offer reduced juice -105 betting? Imagine how much money you'd save over your lifetime if you saved five dollars every time you bet to win $100. THOUSANDS! Exposing Systems - At the end of the day, a betting system is an attempted substitute for hard work. Bettors just look for certain conditions and then make a pre-determined bet based on those conditions. In this article, Loot breaks down the shortcomings in approaching NFL football betting this way, namely how it deprives us of our major weapon when betting NFL--the human element. Loot will show you that there are no shortcuts to success in NFL betting and that most systems fail to capture the essence of NFL betting success. Take a look! Conquering the Psychology of NFL Props and Futures Bets - When looking at NFL prop bets and futures at the beginning of a season, the urge on the part of a lot of bettors is to bet "over." Some of these numbers looks so beatable that we see a disproportionate amount of bets on the "over." But not all that shimmers is gold. In this article, Loot examines the psychological nature of prop and futures bets, namely how so many people are overly-optimistic when making these bets. Take a look, as Loot tries to shift our view ever so slightly so we're in line with reality. Having the Right Headspace - In this article, Loot offers some guidance on how to keep a good perspective when betting on NFL football. It's not as easy as it sounds. Sometimes, it might seem like the world is working against you until we truly realize that the world doesn't revolve around us handicapping and betting football. Take a peek, as Loot breaks it all down and gives us some key tips on how to win the mental game when betting on the NFL. Choosing the Right Book - NFL bettors need to pay special attention to where they steer their betting business. While there are common threads in all books, there can be great variance from book to book. And depending on the types of bets we make, we should decide carefully where we do business. In this article, Loot breaks it all down and shows us what to look for when deciding on an online sportsbook. Click here to get the lowdown! Patience and Staying the Course - There is something about the ups and downs of a typical NFL season that causes our betting principles to erode. We start the season with noble enough intentions, only to see ourselves unravel as the season moves along. In this article, Loot imparts the importance of remaining patient and adhering to our wagering principles over the course of the season. After all, not many people thrive at NFL betting so our outlooks need to be air-tight. Click here to read! What the Stats Don't Tell You - As NFL bettors, we all rely on stats to different extents. It's simply something we cannot ignore. At the same time, stats often fail to tell the entire story. To take it a step further, stats can somethimes paint an entirely-inaccurate picture. In this article, Loot breaks down how we need to look under the surface when dealing with stats and not take everything at surface-value. Click here for the lowdown, as Loot examines some different mindsets we can employ to put stats to better use. Less Glamourous Aspects of the Game to Consider - There are certain aspects of the game that get a lot more attention than others. But those are the things that guide the NFL fan experience. As bettors, we have a different set of considerations. One of the biggest mistakes we make it to let our fan sensibilities guide our wagering. In this article, Loot imparts the importance of considering different things than what fans think about when pondering football. Click here to read! Fundamentals That are Easy to Forget - Ah, fundamentals--the foundation that all people need before they can gain true expertise. In NFL football betting, however, we can easily lose sight of these foundational principles as we develop more advanced betting concepts. And that's something we simply cannot afford to do. Loot breaks down some of the more-common fundamentals that fall by the wayside as we become more involved in football wagering. Click here for more! Using Feel - When betting on NFL football, we look at everything we can--stats, information, past performances, current form, and a ton of other components that is basically hard data. But sometimes we neglect to listen to our inner voice and our instincts. These can be powerful handicapping tools and we should be putting them to full use. In this article, Loot explains how we can tap into that more and use our gifts as human beings to gain an edge on the bookie. Click here to learn how to incorporate your sense of feel and gut instincts into your handicapping. Separating the Pros from the Amateurs in Football Wagering - People might be a little confused when it comes to figuring out the difference between a successful NFL bettor and one who struggles. The formula is not a magic one and the assets and outlook of successful bettors are not well-guarded secrets only available to a precious few. In this article, Loot breaks down some of the more key factors that make some NFL bettors successful. Click here for more! Sure Ways to Lose in the Long Run - In this piece, Loot examines some of the more telltale betting traits that almost invariably lead to disaster. Click here to read about some of the betting tendencies that will lead to ruin, in order to avoid them in the future. NFL Line Movement - Loot explains what causes line moves in the NFL and offers tips on how to use these to your advantage when betting on football games. The Do's and Don'ts of Football Betting - As with everything in life, there's a right way and a wrong way to do something. Betting on NFL games is no different. Loot talks about the importance of being selective, understanding line movement and doing your homework. Quality Over Quantity - In this article, Loot explains how most bettors throw away their most valuable asset, which is the ability to determine the field of play by being selective when betting on NFL football. In this article, Loot breaks down how the only way to succeed at this over the long-haul is to maintain a high level of standards when wagering on games. Click here to learn more! Don't Overemphasize Offense - As kids, we all grew up being brain-washed by the media as if offense were the only side of the ball. As adults, this can can carry over into our betting habits and wreak havoc on our bankrolls. 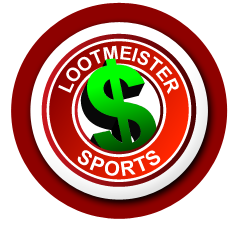 Loot gives tips on the matter and how you can turn the tables on the bookies and use this common way of thinking in your favor. Choosing Advice Wisely - An important part of your handicapping is who you listen to when in the process of making your picks. Paying attention to the wrong person can really lead you astray. Loot explains how to narrow the field when it comes to deciding who to take seriously when discussing NFL. Don't Over-Emphasize Wins and Losses - Too much emphasis is put on whether a team wins or loses. Furthermore, it's highly unlikely that you're able to watch the bulk all the games each weekend. Don't let one or two viewings of a team solidify your take on a team and their potential. If you hang out in a Las Vegas sportsbook you'll quickly learn that good teams win and bad teams cover! Finding Value in Sides and Totals - This article isn't about betting straight bets and over/unders as the title may seem. This piece is about how to get the most out of betting sides/totals by paying attention to line movement, general consensus and key numbers. This article alone will likely raise your winning percentage 2-3%! The Dangers of Listening to Public Consensus and Opinion - Football is a hot topic around the water cooler. Let's face it... Most NFL bettors are very novice and bet for recreation. Most conversations center around a great throw that a team's QB made or a long run by a star running back. You never hear guys talking about things like 80% of the public conensus hammering one side of a line and the spread dropping in the other direction. Loot advises readers to take what you hear with a grain of salt and not factor it into your wagering decisions. Keep Your Opinions in Check - For every one guy that knows more than he thinks he does, there's 20 guys who think they know more than they really do. You shouldn't be betting on a team if you can't name one player on the field. Loot talks about "keeping it real" in order to have a shot of beating this game called football betting. Overlooked Aspects of NFL Wagering - Most recreational football bettors have a handicapping approach that consists of a team's record, some miscellaneous stats and how well the team has been playing lately. This is why 97% of all football bettors lose long term! To win at football betting, you need to turn over some rocks and think outside the box. This article contains information that will increase your winning percentage by 1% at the very least! Handicapping Offensive Lines - Most recreational football bettors watch ESPN highlights and see nothing but QB's making pretty passes to speedy WR's or ball carriers busting through lines for long touchdown runs. Astute NFL bettors don't pay much attention to either. These guys are watching line play to detect the strenghts and weaknesses of each team. This is where bets are won and lost.